This is one of my best selling earrings and I am sharing it with you hoping that you will be able to make lots of them for yourself, family and friends or for sale. 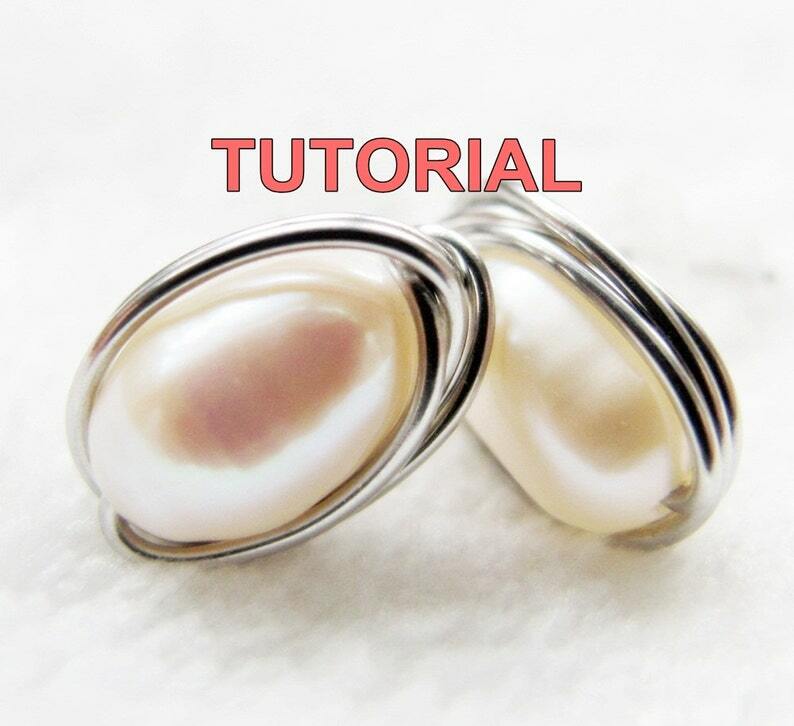 This lesson teaches you how to create a wire wrap stud earrings within 30 minutes, with a single 30cm (12in) of wire. No soldering or glue involves. Just wire wrapping. This is a simple but elegant pair of earrings that you can wear everyday for any occasion. Direct download. After successful payment process, you will receive an automatic email notification letting you know the file is ready on the Downloads page. WIRE JEWELRY TUTORIAL- Wire Wrap Infinity Bracelet. Sehr gute Anleitung. Gerade für Anfänger gut geeignet. Great tutorial, easy to follow, many thanks! Very good tutorial, well diagrammed and explained. Terrific, easy to follow tutorials. Thanks so much!